Stretching from Piedmont in the west to Veneto in the east and from Switzerland and Trentino in the north, the Italian Lake District is a wonderful destination for a touring holiday. Sculpted by nature this spectacular landscape of mountain peaks, gentle countryside, tranquil islands and blue waters is adorned with a great variety of flowers, small sailing ports and grand villas. At every turn a photo opportunity awaits. Whether an artist, keen walker or just someone that enjoys unspoiled landscapes and peace and tranquillity, this is the location for you. We have outlined a fly-drive itinerary below, but remember that this is merely a suggestion and can be modified to suit individual requirements. On arrival in Venice airport, boat transfer to the Casa Nicolò Priuli. Overnight at the Casa Nicolo Priuli Hotel. Day at leisure. 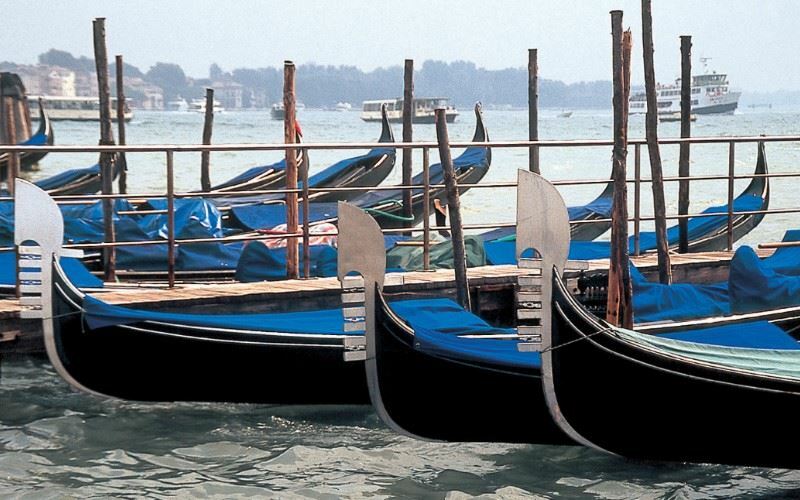 Explore the delights of Venice - one of the ‘must see’ cities in the world. With its picture-postcard panorama, an inspiration for generations of artists, beautiful palazzi and endless mazes of narrow cobbled streets, it is easy to see why. Self-transfer to Venice airport to collect your hire car. Drive towards Lake Garda and the Villa del Sogno (183km). Overnight at the Villa Del Sogno Hotel. Known as the ‘garden city’ of Lake Garda, Gardone has a huge variety of exotic vegetation including cedars, magnolias, ferns and palm trees. The botanical gardens should be visited and are open from March to October. From the port at Gardone, visitors can take the ferry or hydrofoil across to many of the charming lakeside towns and villages. Drive to Varenna on Lake Como and board the ferry across the lake to Menaggio (150km). A walk along Menaggio's lakefront is one of the most common and enjoyable activities when visiting the area. The west bank has a string of resorts lining the shores, with plenty of choice for dining out. Overnight at the Grand Hotel Victoria. Days at leisure. Spend time hopping from one side of the lake to the other for some stunning scenery on one of the many hydrofoils or ferries that cross daily. Visit the main town of Como - great for shopping. Don’t miss the jewel of the lake, Bellagio, which is well positioned at the very tip of the peninsula separating the lake's two southern arms. Depart for Lake Maggiore and the Grand Hotel Majestic (70km). The second largest lake, Maggiore is famed for its jewel-like islands and mountainous northern shores that cross over into Switzerland. Overnight at the Grand Hotel Majestic. Visit the delightful Borromean islands, lying in the centre of Lake Maggiore, whose natural beauty is further complemented by artificial grottoes and landscaped parks. Take a stroll along the lake front of Stresa, the main resort on the western shores which is full of grand villas and verdant gardens. Drive to Milan Malpensa airport for your return flight to the UK. From the imposing gothic style façade to the opulent interior and stylish 19th century décor, this distinctive 3-star hotel is modest in size, but retains an unmistakable sense of exclusivity and grandeur. From the imposing gothic style façade to the opulent interior and stylish 19th century décor, this distinctive 3-star hotel is modest in size, but retains an unmistakable sense of exclusivity and grandeur. The hotel overlooks two canals, the Osmarin and the canal of the Greeks, with some rooms enjoying scenic views over the waterways. An ideal base from which to explore Venice and, with the added bonus of being situated in a quiet residential area, guests are assured a relaxing and comfortable stay. Located on the west bank of Lake Garda, this imposing 19th century Villa, set in its own extensive private park (40,000sqm), enviably affords one of the best views on the lake. Located on the west bank of Lake Garda, this imposing 19th century Villa, set in its own extensive private park (40,000m2), enviably affords one of the best views on the lake. The Liberty décor and other features of that period have been conserved in many of the hotel’s interiors, reinforcing the romantic and sophisticated elegance of this grand lakeside residence. The tranquil setting and beautiful surroundings makes this the perfect place in which to relax and unwind. Entrance to the hotel is via a long and winding road (1km). The ‘Tower suite’ and ‘Vista suite’ are both located on the top floor of the villa and are open-plan with Jacuzzi bath and a large private terrace. This delightful hotel, located on the shores of Lake Como, is a 2-minute walk from the centre of Menaggio. This delightful hotel, located on the shores of Lake Como, is a 2-minute walk from the centre of Menaggio. Surrounded by well-maintained gardens, the hotel is well positioned opposite the lakefront promenade and affords spectacular views across to Bellagio. Within the gardens, to the rear of the hotel, is a secluded area where guests can enjoy the peaceful setting around the outdoor swimming pool. Following recent refurbishments, the property has maintained the original elegance and style of the Liberty era. 50 minutes to Como by waterbus (aliscafo). The Grand Hotel Majestic, dating from 1870, still retains many elegant period features as well as its traditional atmosphere. The Grand Hotel Majestic, dating from 1870, still retains many elegant period features as well as its traditional atmosphere. The interiors display a subtle blend of antique and modern furnishings with spacious, high ceilings. The panoramic terrace and gardens afford spectacular lakefront views. Positioned on one of the most idyllic lakeside settings, just 5 minutes' walk from the centre of Pallanza, the stunning surroundings will never cease to delight first-time and return visitors alike. The hotel is an excellent choice for those seeking total relaxation and tranquillity.